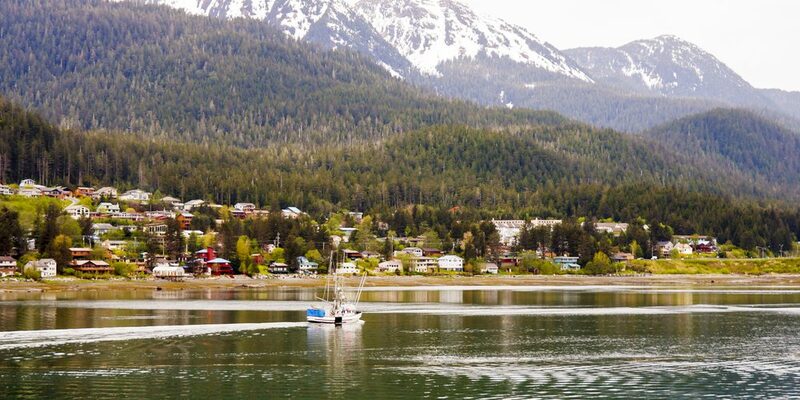 Downtown Juneau is nestled at the base of Mount Juneau and across the channel from Douglas Island. It sits at sea level, with tides averaging 16 feet (5 m), below steep mountains about 3,500 feet to 4,000 feet high. Atop these mountains is the Juneau Icefield, a large ice mass from which about 30 glaciers flow; two of these, the Mendenhall Glacier and the Lemon Creek Glacier, are visible from the local road system. The Mendenhall glacier has been gradually retreating; its front face is declining both in width and height. Downtown Juneau has many art galleries that participate in the monthly First Friday Art Walk and annual Gallery Walk held in the first week of December. The Juneau Arts & Humanities Council coordinates events and operates the Juneau Arts & Culture Center which features a community center, gallery and lobby shop. The University of Alaska Southeast Campus offers lectures, concerts, and theater performances. Sealaska Heritage, the nonprofit affiliate of the Sealaska Corporation, operates The Walter Soboleff Building which is decorated by carvings and hosts ongoing cultural exhibits.